Score submissions to receive an Equine Achievement Award are due on November 15th to the Vice President. UDS designed this award to spotlight exceptional equine talent. Equine Achievement Awards are awarded to a particular horse. There is no time limit for earning qualifying scores. However, because the UDS Equine Achievement Award program began in 2001, only qualifying scores earned during 2001 and later, shall count toward the award. The rider must be a UDS member, having a USDF GMO membership number. The owner must be a UDS member, having a USDF GMO membership number. The horse must have a USDF Horse identification (HID) or Lifetime Horse Registration number (LHR). The horse’s owner will receive, as an award, an engraved plaque for the first UDS Achievement Award the horse earns. An engraved notation will be added to the plaque for each subsequent UDS Equine Achievement Award the horse earns. 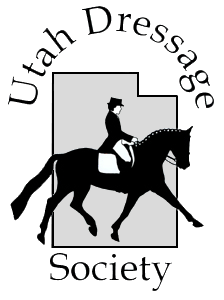 A single horse may be awarded only one (1) UDS Equine Achievement Award at each level; however, a horse may be awarded a UDS Equine Achievement Award at every level. Scores must come from USDF/USEF recognized shows. Short Tour scores do not count towards Equine Achievement Awards.